Why are you not happy? – My thoughts on a page. Imagine being a child in today’s world, compared with the childhood you had. As a child I shared a bedroom with three others. We had one bathroom. My Mom made a lot of our clothes, and we owned school shoes, casual shoes, and runners. We had no playroom, and a limited stock of toys. For most of my childhood we had one car which was gone all day. We walked or cycled where ever we wanted to go. We had one television, black and white, and were lucky enough to have four channels. Those living outside Dublin had just two! We didn’t get a video recorder until I was almost seventeen. There were no mobile phones, computers, laptops or games consuls. Yet I never knew of anyone who took their own life. Reading the statistics I am stunned. What has changed? Were this number of teenagers unhappy when I was growing up? Was I just oblivious to it? I can’t help but wonder despite our better lifestyles are our children living in a poorer world? With all this technology we are able to communicate 24/7 but have we stopped actually speaking with each other? We have all gone into restaurants and watched families sit at a table and not speak, as they are too busy online. Is it easier than making conversation? As I look through my facebook feed I see happiness everywhere. Enough to make me feel I’m missing out. What would the awkward, angry, teenage Tric have felt at fifteen, if she had to look at so many others living in a perfect world. I didn’t have all that my children have, but I also didn’t have other things in my life that are part of my children’s lives. I never felt exam pressure and the need to get grinds in order to get good results. I didn’t see the perfect lives others were living. I didn’t have to have branded clothes, and update my wardrobe regularly. I didn’t have to have a million facebook friends or learn to cope with cyber bullying. I’d never heard of cosmetic surgery, and there was very little talk of foods being good or bad for you. I read magazines, but they weren’t focused on body image. There were real celebrities, those who had actually achieved fame through their musical or acting ability. Society seemed less fake. I didn’t believe everyone else was living a better life than I was. I cannot help but wonder, what are we missing? In a world where parents seem to put more time, energy and money than ever before into their children, where are we going wrong? We need to listen to our children’s silent cries. They are trying to tell us something. It’s time for us to ask them, ‘Why are you not happy?’. When a heart grieves, time moves to a different beat. I wonder this too but not only for teenagers-for everyone. I see so many adults wanting to have more and I am not sure how more gets them happiness. I have two acquaintances who have committee suicide this year. Tragedy. No other word for it. Technology-although there are parts to it I love, especially for reading-separates us and does not allow for true emotion. I miss seeing my friends on a regular basis because everyone now communicates via text or email. I miss front porches. :) That is where you saw everyone to stop and chat. Now everyone is in a hurry and doing more than one thing at a time everywhere I look. Of course, I am guilty of it as well. I do hope to see another change for the better as I get older and my kids are my age. Only time will tell. Oh I am sorry you lost two acquaintances. 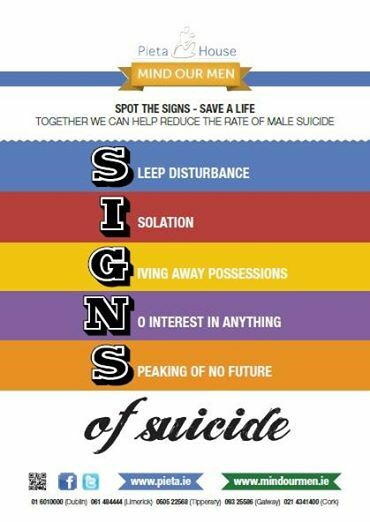 It really brings it home how prevalent suicide is. Yes I agree all ages are struggling, but I feel we owe it to our children to try to stop it. I think there is great hope for their recovery if we can get them to talk and in the long term if we can discover why? Then there will hopefully be better hope for the future. This is a wonderful post. Speaks on a very personal level as a young adult raised and formed by today’s society. If you ask them what’s wrong, they can’t tell you because they don’t know. Too many things, but no real connection. Lost childhood and growing up way too fast. Everything is me, me, me. We have to let them just be kids, and we need to guide them to connect to something outside of self. Volunteering is a great way to start. Yes I think it there are very complex reasons behind why our young people are unhappy. There is no one answer, but it is getting out of control here in Ireland, and I am sure in many other countries. Much loved children are taking their own lives. Hopefully the next ten years will see changes. Yes I hate the fact that I have to be vigilant, but suicide and depression can strike in any family. I have no answers either. I think it has more to do with coping strategies and skills in dealing with modern life than a simple case of wanting more, although that certainly plays a pressure in the mix. There’s an expectation than solutions to difficulties and stresses are instantaneous, with many people beating up on themselves and feeling they’re responsible, and the enormous weight of failure. I agree completely. I also think that there are a lot of pressures on children very young. Pressures to join in activities, to do homework, to do well at school, to have friends and to fit in. I know we had these pressures too, but not to the extent children today have. Society has changed, but I think for our children the changes are not for the better. As a mother I worry, for my own gang and for my future grandchildren. Important post Tric. You ask the right questions, and it seems that many of need to stop, slow down, and ask ourselves these questions. If we change nothing, nothing changes. Thanks Colleen.